If you manage a property for the owners, you can assign them to the property and set up a property management fee based on your Property Management Agreement. 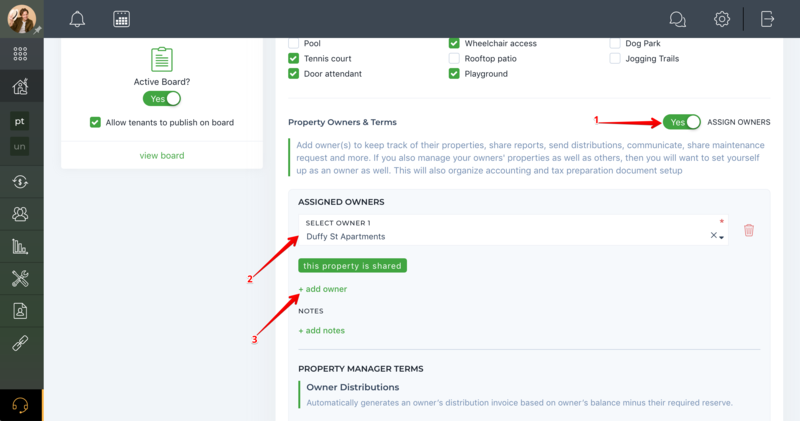 To assign an owner or several owners to a property and set up the property terms, go to the property's page, press "View" for the necessary property, choose "Edit" from the three dots menu, and enable the "Assign owners" toggle button. Scroll down to the Property Owners & Terms section. Click on "Select owner 1" and choose an owner from the list. If the property has shared ownership, click on "+ add owner" and repeat for the total amount of co-owners this property has. How to create an owner agreement? The system's limit is five owners per property. With shared ownership, you'll need to determine how ownership is distributed. 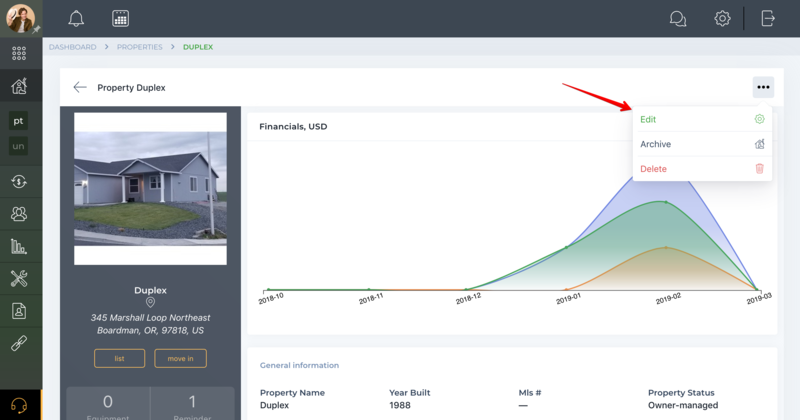 Type in what percentage of the property belongs to each co-owner next to each co-owner's name. The total must be 100%. Property Terms allow you to put in place global settings for management fees that can be enabled when moving in a tenant or setting renewal lease fees and service fees. This will allow you to quickly generate property management invoices based on property terms. It will save you time and make your property management easier. How to set up automatic owner distribution invoicing? How to set up management fees? How to automatically calculate a service fee to owner? How to set up automatic Renewal Fee invoicing? In order to share information about a property with an owner(s), you must be connected with the owner(s).